What is the difference between Hoffman Boots and others? The Hoffman Leather Boots are built with the finest materials available. From the heavy-duty 7-8 oz. oil-tanned leather uppers, to our unique dual steel shank system found in our lineman boots - at Hoffman's Boots, we strive to make our boots with the highest quality materials made to last. 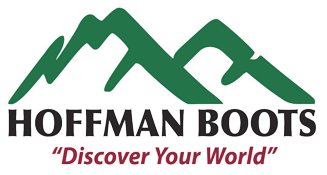 The other major difference you will find with Hoffman Boots is the fit. These boots are hand-crafted with a supportive fit, which allow comfort for someone spending the entire day on their feet. What is the life expectancy of these boots? There are too many factors to precisely define how long our boots will last for each customer, because of the wide variety of uses and usage our boots are made for. Rest assured, however, every pair of Hoffman Boots are built to take a beating. If you do wear the soles of the boots out, you can simply send the boots in to be rebuilt, for approximately a third of the cost of a new pair. Are they waterproof and what do I treat the leather with? Our Hoffman leather boots are made with our heavy duty 7-8 oz. oil-tanned leather, and are highly water resistant. With a waterproofing treatment like Hoffman Premium Boot Dressing or Oil, the water resistance of the leather uppers increases dramatically. In extremely wet conditions, our seam sealant can be used to seal the stitched seams, also increasing water resistance. Many of our boot feature water proof membranes and are guaranteed to be water proof, so please check how your boot is designed before you order. Most boots are manufactured here in the United States. How should I dry my boots? Direct heat sources like a wood stove, campfire or oven are very detrimental to the performance of your boots. Hoffman Boots will not warranty any boot that has been exposed to direct heat. This will cause delamination issues with the soles and rubber rands on the boots. We strongly recommend the use of a boot drier or air dry your boots. Hoffman Leather Boots are available in whole and half sizes, with varying widths, and are sized to incorporate a mid-weight boot sock. If you need help choosing a size, please call us at 1-800-925-1599 for assistance. Do your boots come in different heights and what is best? Depending on the style, our boots come in 10, 12 and 16 inch heights. Each of the heights are equally popular; the height comes down to personal preference and what is best for your needs. Are your steel toe boots ASTM / EH approved? All steel and composite toe boots meet the current ASTM standard. Only the boots listed as EH approved, meet the EH ratings.